The only award that counts..
Of course that’s my opinion.. The bloggers you find listed here have merited my recognition for blogging excellence..
Not all the blogs I’ll follow will be listed, although I only follow great blogs. These bloggers are the Prime Rib of bloggers.. Or the icing on the cake.. The perfect pairing with a vintage wine.. They add new tastes to the pallet of the hungry reader.. Please read the short descriptions of what I find so interesting about each of them, then click and be ready to devour some of the best reading and visuals on the blogoshere smorgasbord..
Update : If the owner of a blog listed here prefers to be removed, you can put your request in the comments on this page or email me directly and I will remove the link and comments asap.. I had one such request and promptly complied..
Who is Buddy Foster ? This blog is written by a very clever cat with the aid of his person.. From what I understand about cats, people don’t have cats.. Cats have people.. It’s written in a whimsical and witty first person account.. um.. I mean cat.. Buddy’s person is going to broaden the blog to include info and help about feline friends.. I hope Buddy doesn’t give her a hard time about using his page.. Give it a click and enjoy some light and fun reading..
Special thanks to Brenda ( Buddy’s person ) for helping me over the hurdles of my techy ignorance.. The post I chose to link to is the first one I read of this special lady and the one that hooked me.. Her writing and photography gives you a grand tour of the world and people uniquely thru her eyes and impressions of her experiences .. You’ll go back for more. And Osyth is unwittingly responsible for the naming of this prestigious award..
C’mon, how can you resist not clicking a blog title like that ? You’ll roll down the road in a way you never have before in this blog with some breathtaking photography and passionate writing..
That is the mantra for this beautiful blog.. Kerry is a diamond .. Ironically, the least of her many facets is potentially life saving for people who need a new insight into their own suffering.. But I linked to Kerry’s travel page, because it’s the first I read and I think it’s the best way to dip your toes into this blog.. Oddly enough, though I found and have been enjoying this blog for awhile now, somehow I missed clicking follow.. I’ve corrected that mistake..
A picture is worth a thousand words.. A picture with a few words placed in select different settings, is worth taking note and action to provide answers locally to a world problem.. If we all just open our eyes.. IMPREIENT opens our eyes by showing us where we walk in the midst of this problem.. It’s reawakened my sense of duty and compassion to take action.. We all, no matter our current status in life, can have it all taken away in an instant in this topsy turvy world.. Will someone be there to help if it does ? With artists like this, yes.. The art touches your heart..
Because I’m overwhelmed by the heart that goes into this blog.. I’m way behind in adding awesome blogs to the Pan Award.. But this made me stop in my tracks.. This is a blog, very well done, about a family’s journey overcoming the trials of autism.. Autism is so prevalent these days, I find the information, support and stories a treasure for parents..
I’ve been terrible about keeping up my links page and it’s almost criminal that I haven’t added Alan to this page. The link is to his “about me” page.. You will find pictures that say 1,000 words or more and stories that you wish would go on for thousands of words.. Thank you for this award, Pan. It is an honor to be included with such talented bloggers. You definitely belong with the group that keeps me in awe and aww. I am happy to be a part of that group. Thanks again for the kind words. Lol, glad you’re here ! OK, I’m finally getting caught up! You know what its like living on the road! Thanks for the nod, and next time its not Denny’s, you can whip up something from your truck kitchen! I look forward to it! Like Emeril says, it’s all about the pork fat! Thank you for this amazing… honor. Pan, I just discovered this. What a neat idea and Buddy is so proud to be included! He says Meownk you. I gave you such terribly long instructions because I was thinking you wanted to do something else. I guess you discovered it was really quite simple. I just like to confuse people. I must check out the other blogs to see who we are deemed to be the equal of. Buddy is now enjoying snow for the first time after being a housecat for five years. More on that to come. Hopefully the Who is Buddy Foster will attract visiters to his site. 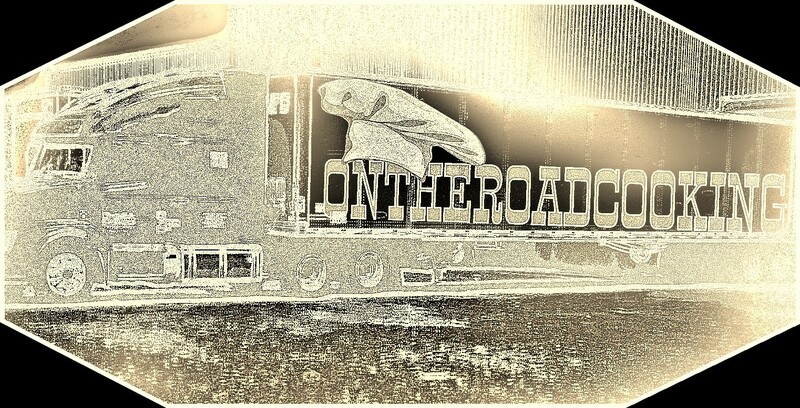 Keep on Truckin and Cookin. Oh you did help me ! If it wasn’t for you I wouldn’t have known the lingo to look for in my search.. You taught me more than you know.. I finally figured out where this was and thank you so much. I intended to just focus on travel stories but then realized that my real life stories were what the readers liked and enjoy sharing and helping. I am endlessly fascinated by what you manage to cook in a truck! What I find so awesome about your blog is that your stories in life and travel are both adventures.. You and Osyth are of the same caliber AND vastly different.. Which makes you two great blogs to follow without becoming redundant reading..
Hahahahaha, ohhhh myyyyyy… That’d be awful but yep hysterical too.. but more awful.. you made me laugh right out loud ! But I have a hard time boarding Stewie.. He doesn’t do well when I’m gone.. Wonder if you and Osyth would fly up to Bangor ? We have a casino, that I’ve never been to 😂 closeby..
Re: fascinated at what I can cook in a truck..
Now, if only I can make it tempting enough to mesmerize you into the kitchen to whip up a special Pan recipe..
😁 I don’t have many readers but if even one discovers these above blogs, then I’ve done my duty in sharing good food to the voracious reader..